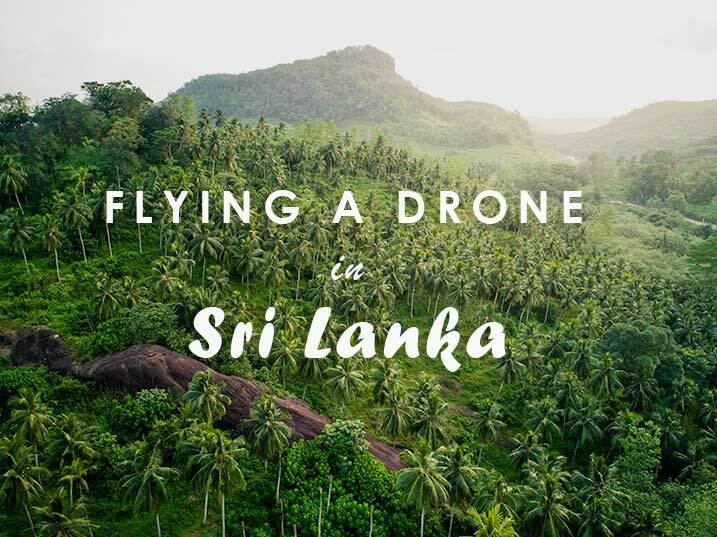 While travelling Sri Lanka for the last 2 months, I received countless messages across social media asking for advice about the restrictions of bringing a drone into the country and the rules and regulations of flying it when there. Most people who messaged were concerned about having their drone confiscated at the airport as they had heard numerous rumours/reports about the strict laws they have about UAV’s in Sri Lanka. I’m always concerned coming into another country with my drone as i’ve also read people reviews of confiscation, but i had no issues at all. The officer at the immigration scanner watched my bag go through the x-ray conveyor, stopped the belt and said the word ‘Droner’ with a questionable tone to which I smiled and replied ‘Yes’ making a circular motion moving upwards with my finger, and that was the extent of my difficulty bringing my drone through Sri Lankan customs. All but two of my droning experiences in Sri Lanka were positive. Most of the time, the locals haven’t seen a drone before, and they’re not too shy about coming over to have a look at what you’re doing. Most of the conversations would revolve around the cost of the drone, how far it would go, if it can take video and photos and then move on to where I’m from, how old i am, why I’m not married and if i wanted to marry a family member?! But before i get too side tracked, the first of my bad experiences was caused by my own stupidity when i stopped off for a flight above some rice fields in Nuwara Eliya. This region is know is located in the high country and known as little England for its unpredictable, wet, and cold climate. I took off from a sheltered side of the road and flew above the rice fields, taking a couple of photos and videos as I slowly buzzed around. I came out of the protected area i was flying in and my drone got caught in the wind and was taken over 1km away before I could get it sheltered enough to pilot it back to my location at a painfully slow pace. This was also a time when i was surrounded by locals who were unknowing of my current stress levels, excitedly watching their surrounding countryside from a new angle. The second time was flying at the UNESCO world heritage site of Lion Rock in Sigiriya. I had completed a flight in strong wind (again, pushing the drone to its limits) before deciding to take one last set of shots over the entrance to the fortress grounds then making my way back to my location. Shortly after landing as i was packing away the Phantom, 2 officers drove past on a scooter pulling to an immediate stop, taking my tuk tuk keys from me, also my phone and demanding my SD card. They informed me for breaching the regulations, I would go to jail for 14 days. They made phone calls where i only understood the words ‘drone’ ‘tuk tuk’ and ‘England’, then preceded to examine the footage, to which I was complimented on until they decided to ask me for money to let me go. I took them up on their offer and with a shady handshake, I paid them $10 each so i could keep my images and not go to jail. In Australia CASA have a solid set of safety regulations in place when it comes to flying a UAV, and despite being a much less developed country, I was surprised to find Sri Lanka also had a stringent list of safety regulations to follow for droning activity. Based on my current knowledge and research, here are the rules to follow when flying your drone in Sri Lanka. Your drone must go no further than 500m from your location at any time. I’m unclear if the use of spotters is allowed in Sri Lanka like it is in Australia, where you have a person stationed at the 1km mark who will spot the drone as it moves beyond 500m using radio contact. Drones must be kept below 400ft/122m. Flying over people or crowded areas is not allowed. Do not fly your drone within 50m from buildings, vehicles or a person that are not associated with the operation of the drone. Do not fly your drone within 5 miles/8km of the boundary of any operational airport. Drones are not permitted to fly above or around government, military, archaeological and religious sites and national parks. Other no fly zones include flying above or around train tracks, power lines, communication towers and highways. Drones must only be operated during daylight hours. Although i cannot find evidence to support them, I have also come across the following non-official rules. Drone operator must be 18 years or over. The drone in use must be insured. You cannot operate your drone from a moving vehicle. Carriage/ delivery or dropping items from your drone is prohibited. 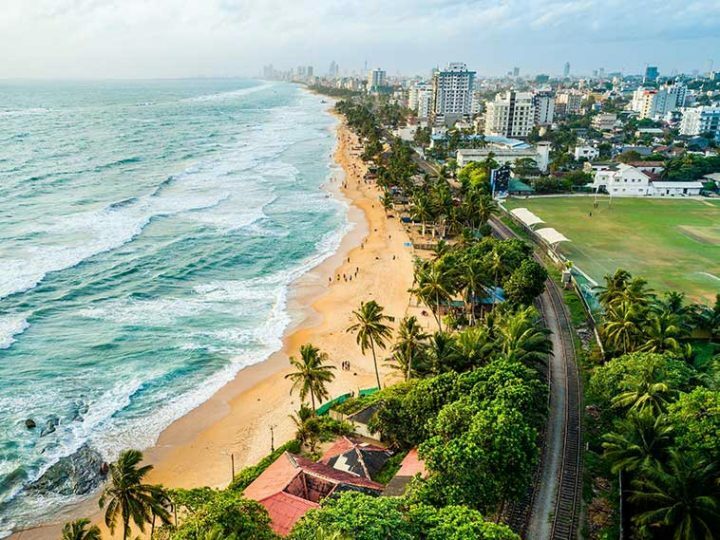 Drop a comment below if you have any questions or know of any new regulations for flying a drone in Sri Lanka.